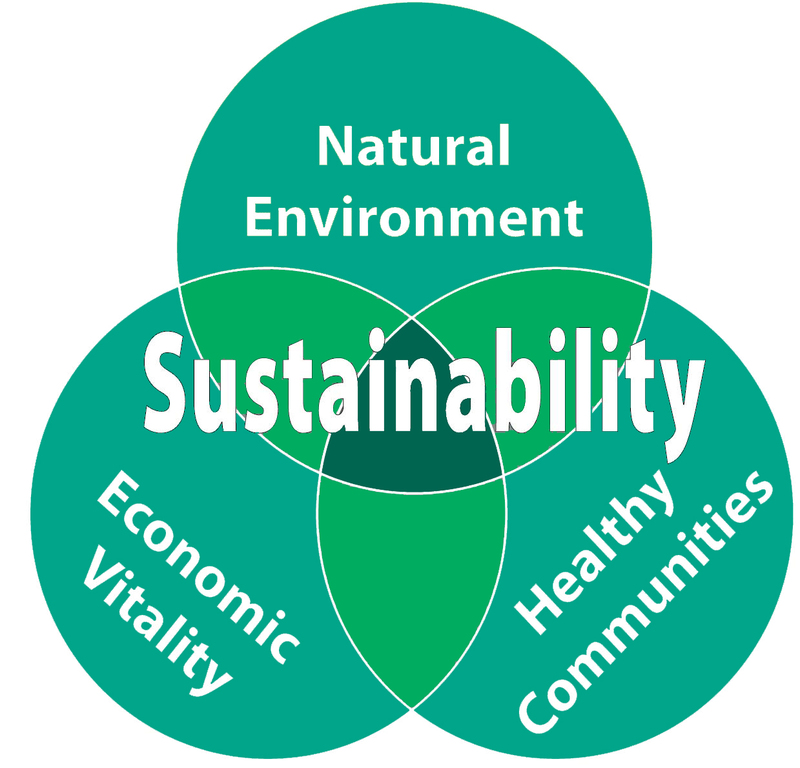 On my blog homepage, you’ll see the sentence ‘A Journey to Sustainable Healthy Living.’ When I started my blog, and until very recently, my use of the word ‘sustainable’ referred to each of you (and myself!) at the individual level and the use of my blog to help you on your journey to a healthier, more balanced life. Changes we make in our lives, whether in the area of diet, physical activity, sleep or stress management, should be ones that are feasible and sustainable for us to stick to in the long-term – that’s a key aspect of goal-setting I talk about a lot. But this year, when I started my Masters in Public Health and Nutrition, I started a module called ‘One Health‘, which introduced me to a whole new way of defining and thinking about ‘sustainability’ – that of our Planet Earth. The Center for Disease Control (CDC) in the USA defines One Health as a discipline that ‘recognizes that the health of people is connected to the health of animals and the environment. 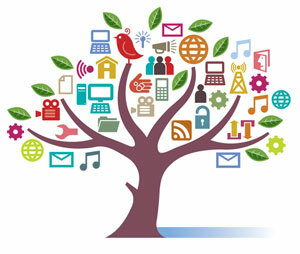 It is a collaborative, multi-sectoral, and trans-disciplinary approach—working at the local, regional, national, and global levels—with the goal of achieving optimal health outcomes recognizing the interconnection between people, animals, plants, and their shared environment.’ It is a pretty recent discipline, and really really important for many reasons, but chiefly because, as the definition describes, our health as human beings is intricately connected to that of animals and our environment. A couple of examples – did you know that 6 in every 10 infectious diseases that affect humans are spread by animals? And I’m sure it’s not breaking news to hear me say that how we live, eat, work and play on this beautiful planet can and does have major effects on the environment – a population that is rapidly rising worldwide, increased demand for food in developed and developing countries, intensified agriculture/farming, water pollution, plastic pollution, over-fishing, a loss of diversity of many animal and fish species – phew! I could go on. The impact of human life on the health of the environment is immense, and with our global population projected to hit 9.8 billion by 2050 (UN, 2017), it’s hard to see how that can change in the near future. My assignment for my One Health module this semester was an essay, and I chose to write mine on the topic of ‘Sustainable Diets‘, to explore the effect of our current dietary patterns on the environment, and look at what changes can and have been proposed to these. It has been a FASCINATING deep dive into the research (and trust me, I’m not done! ), and has revealed to me that diet is a massive part of our daily lives that we can work on improving both for our personal health and that of the environment – two birds with one stone! Hence why I’m sharing my learning with you guys! What are sustainable diets? Why are they a hot topic right now, very VERY important, and relevant to you? How can we can change our dietary patterns to be more sustainable? I’m gonna answer all of the above, and look at some evidence-based actionable tips you can take away today to make changes to your own diet, based on some excellent recent publications from the British Dietetic Association (BDA). I highly recommend following the BDA and dietitian (and friend of mine!) Maeve Hanan (@dietetically_speaking on Instagram!) for ongoing updates on this area too! The BDA have named their Environmentally Sustainable Diets Project ‘One Blue Dot’ – and as a preface to this article, the BDA state that the reason for the development of this project is that addressing and reducing the environmental impact of the food we eat is one of the key changes we can make to tackle climate change. Importantly, the BDA equally recognise that the science behind this area needs to be translated through their dietitians from an evidence-based perspective into healthy eating messages for the general population, and that we need to be particularly mindful of how all recommended dietary changes might affect vulnerable people in society (e.g. those with chronic disease, pregnant women, children, older adults and those on low incomes). More on this later! Disclaimer here: As you all know, I am a medical doctor, and current postgraduate student in a Masters in Public Health and Nutrition. I am not a dietitian or a nutritionist. As a public health advocate, I am ALL about health promotion, particularly in the realms of nutrition and physical activity. I am also ALL about the evidence-base for anything I discuss or promote on my blog. Happily, having just written an essay/research review on ‘Sustainable Diets’ for my One Health module, I have really read into this area over the past few weeks, and am fascinated by it. The take home tips I will share below are those advised by the BDA literally launched this month (website here), and I took part in an educational webinar they organised last week as part of this launch. As a final point, I want to emphasise that these sustainable diet tips are relatively simple changes and do not advocate the exclusion of any major food groups. But in general, as I’ve said before, it is always worth discussing any major dietary changes you make with your general practitioner and ideally a dietitian or nutritionist in the community/linked with your GP. The United Nations Food and Agriculture Organisation (FAO) published a consensus definition in 2010 for what constitutes a ‘sustainable diet’ – ‘those diets with low environmental impacts which contribute to food and nutrition security and to healthy life for present and future generations. Sustainable diets are protective and respectful of biodiversity and ecosystems, culturally acceptable, accessible, economically fair and affordable; nutritionally adequate, safe and healthy; while optimizing natural and human resources.’ A mouthful of a definition, right? I hear you. But fear not gang, I’m here to translate the science into actionable tips for sustainable eating habits you can adopt in an accessible way. But first, we need to look at why this is an important topic, and bear in mind that this area of research is very much ongoing and emerging right now, and so guidelines are in stages of evolution and development by various international and national organisations worldwide. Two major challenges we are working to overcome to develop proper ‘sustainable eating’ guidelines are – first, there is a huge amount of variation across the research/literature in terms of what dietary patterns have been assessed and how their effects on the environment are measured (for example, most frequently, greenhouse gas emissions (GHGEs) attributable to various food groups are reported). Second, worldwide, we currently face what’s called the ‘triple burden’ or ‘nutritional paradox’- rising (and already very high) rates of overweight and obesity, malnutrition and micro-nutrient deficiencies. The World Health Organisation estimated in 2016 that globally, more than 1.9 billion adults were overweight and of these, over 650 million were obese (WHO, 2018). In contrast, approximately 868 million people worldwide are chronically undernourished, and an estimated 2 billion suffer from micro-nutrient deficiencies (Macdiarmid, 2016), demonstrating that the global burden of nutrition-related diseases exists at both ends of a dramatic spectrum. Crucially, this burden is not evenly distributed internationally – as you might expect, overweight and obesity is the prevailing issue in developed Westernised nations (e.g. Ireland, the U.K., U.S.A., Australia, etc), while in the developing world malnutrition is the major nutritional burden. The growing population in the developing world has been described as having a ‘rising appetite’ for foods sourced from animals, and in these nations in economic transition we see a phenomenon described as a ‘nutrition transition’ (Popkin, 2003), characterised by a shift in dietary patterns from a diet low in animal products and high in unrefined crops to those typical of developed nations – high in processed, nutrient-poor foods and animal protein, and low in fruits and vegetables. Therefore, there is increasing global awareness that one of the greatest challenges the world faces today is to develop our food systems to deliver both food and nutritional security for a rapidly growing population, while minimising the environmental impact of doing so (Macdiarmid, 2016). I’m going to focus on developed/Western countries and dietary patterns in this article, so let’s first ask the question – how sustainable are our current dietary patterns, or the ‘typical Western diet?’ Being honest, not very. I think we would probably all agree that unfortunately, over-consumption of highly processed foods, and animal-derived foods (particularly meat and dairy), has become a bit of a cultural and social norm in our modern society. That may not apply to you personally reading this, but broadly speaking, we do now live in a world where sedentary lifestyles predominate, and cheap, fast and highly processed food is easily available (and often perceived to be or genuinely is cheaper and easier to access than healthier options like fruits and vegetables). In Ireland, the most recent Healthy Ireland survey revealed that 62% of the Irish adult population are overweight or obese (Department of Health, 2017). Similarly, in the United Kingdom (UK) over 60% of adults and 30% of children overweight or obese (MacDiarmid, 2013). We know as well that obesity is a risk factor for what are called ‘non-communicable diseases’ – examples of which include coronary heart disease, type 2 diabetes mellitus and some cancers. So, it’s clear that how we currently eat does not reflect the existing healthy eating guidelines developed for us – for example, the ‘Healthy Eating Guidelines’ from Healthy Ireland, and the ‘Eatwell’ plate in the U.K – and is not sustainable for human or environmental health. Now, official dietary guidelines have been historically and understandably focused on devising recommendations for optimal human health, as opposed to environmental health. And in order to be guided in how to eat in a more sustainable way for the planet, we of course need these guidelines to include a consideration of the research on which foods have the greatest impacts on the environment, and balance this as a priority with that of our physical health. Currently, official sustainability-focused dietary guidelines exist only in Sweden, Qatar, Brazil and Germany, while unofficial or quasi-official guidelines exist in the USA, Australia, the UK, France, Netherlands and Estonia. Here’s a great summar slide from the BDA webinar illustrating the spectrum of various dietary patterns and their combined nutritional adequacy and environmental sustainability. So as the development of such guidelines (like those from the BDA which I’ll share below) evolve, it’s important to discuss the how and what of diet changes we can make now that will improve our personal health as well as being sustainable ways of eating. This is why I’m such a fan of the BDA publications – they are thinking ahead of the game, and acting in a pro-active manner to help professionals guide consumers with an evidence-based, safe approach. So. We know that adopting healthier eating patterns will improve our personal health – such as meeting your minimum 5 portions of fruit and vegetables a day, your fibre intake, and whole-grains, for example. 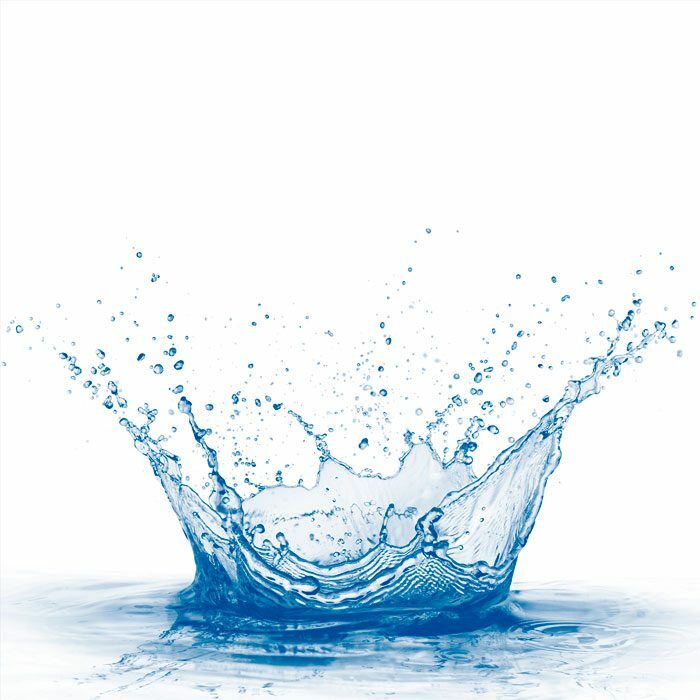 And we know that consuming certain foods in excess (particularly highly processed foods with high sugar/saturated fat/salt content, and red meat – but really, anything to excess isn’t healthy – even water!) isn’t the best idea for optimal health. So with that in mind, let’s look at the effect of how we currently eat on the environment – by this I’m referring to, as I said above, the ‘typical Western’ pattern of food consumption. This is most commonly assessed and reported in the studies to date in terms of GHGEs, or what you might hear referred to as the ‘carbon footprint’. This approach is favoured as GHGEs are felt to be reflective of every stage of a food’s life cycle, including production, processing, packaging and distribution, all the way through to consumer consumption and waste (Macdiarmid et al., 2012). There is a broad consensus among experts that meat and dairy are the greatest contributors of GHGEs, while fruits, vegetables and plant-based foods such as legumes, pulses and nuts are the lowest (Vieux et al., 2017). Currently, the FAO (2018) estimates that total emissions from global livestock (for meat, eggs and milk) contribute 14.5% of all human-generated GHGEs, with cattle (for beef, milk and other outputs) cited as the animal species responsible for the most emissions. Current food production is estimated to contribute 20-30% of human GHGEs, and is also the leading cause of biodiversity loss, deforestation, water and land use (FAO, 2016). In the UK, the food supply chain is estimated to contribute 18-20% of annual GHGEs, with meat and dairy products accounting for the greatest proportion, and this figure is estimated to increase to over 30% if land use is included in the calculation (Macdiarmid et al., 2012). The UK has set a target to reduce GHGEs by 80% by 2050, from 1990 levels. In Ireland, the Environmental Protection Agency (EPA) published in 2018 ‘Ireland’s Greenhouse Gas Emissions Projections 2017-2035’, reporting that overall emissions had increased from most sectors, including a steady growth in agricultural emissions, concluding that Ireland is not projected to meet 2020 emission reduction targets or longer-term emission reduction commitments to the European Union. Agriculture is projected to account for 33% of emissions in 2020 (EPA, 2018). Thus, reducing animal-based food intake has been identified by many studies as the most important consumer sustainability issue (Beverland, 2014), with the BDA (2017) advising that reducing meat intake in favour of alternative plant-based sources is the most effective choice to improve dietary sustainability. So should we all be going vegetarian or even more extreme – vegan? In short, no. And before those of you who are already vegetarian or vegan – this article is not an attack on those diets, and as many of you will know, I’m a big advocate for the powerful potential health benefits of a plant-based diet. The BDA defines a ‘plant-based‘ diet as one which is ‘based on foods derived from plants, including vegetables, wholegrains, legumes, nuts, seeds and fruits, with few or no animal products.’ If you’ve heard the term ‘flexitarian‘, that’s essentially the same thing – also known as ‘semi-vegetarianism.’ Confused? I don’t blame you. These are all just terms to reference a more flexible approach to your diet, one where plants, and not meat are the focus – and I particularly like this flexible approach. This pattern of food consumption has been most strongly associated with positive health outcomes in relation to weight loss, metabolic health, hypertension and type 2 diabetes (Derbyshire, 2017). With that in mind, here’s why I don’t think full-blown vegan or vegetarianism is the solution to get us all eating in a sustainable way – because it is not the most feasible, realistic, fair, or culturally acceptable approach. I’m gonna dive more into the rationale behind that statement, so keep reading. One thing I have learnt so much about during just Semester One of my Masters is how complex and multi-faceted behaviour change is, ESPECIALLY in the areas of diet and physical activity. We’ve all been told MANY times by doctors, dietitians, nutritionists, the government and media about the importance of ‘eating your five a day’, ‘eat more fibre’, ‘get out walking’ – so why isn’t everyone doing it? Gosh lads, I could write a whole other blog post on behaviour change – and in fact, I will as one of the next posts. But suffice it to say that health behaviours are affected by internal and external factors – motivation, social and cultural norms, skills we possess (e.g. for cooking), knowledge we have, income, actions of family and friends around us, the environment we live in, the food and facilities available to us – the list goes on. You might have the best intentions in the world to ‘get healthy’, but that does not translate to an overnight behaviour change. So telling people of all backgrounds (e.g. income, education and occupation levels) to ‘go vegan to save the planet’ – no. I’m sorry, but no. Not feasible, sustainable, acceptable or even responsible to advise that to THE WORLD. Especially a world where essentially an equal number of people are over and under-nourished to the detriment of their health. This brings me to a final key point before we get onto the nitty gritty sustainable diet tips from the BDA. The importance of balancing nutritional and sustainability priorities in the development of any changes to dietary recommendations. Encouraging total elimination of food groups such as meat and/or dairy is not responsible – these are foods which may provide a major source of protein and micro-nutrients like iron, vitamin D and B12 and calcium (to name but a few) to many, and some people may not possess adequate knowledge or food preparation skill resources to know how to properly replace eliminated foods with plant-sourced alternatives, particularly those of lower socio-economic status. Additionally, people may replace eliminated foods with poor quality processed foods, which might have a lower carbon footprint, but aren’t good for human health. To back this up, I’ll give you the BDA stance on this – they have highlighted that there are multiple nutritional benefits to be had from the balanced consumption of meat, fish and dairy, which must not be forgotten in this discussion. For example, meat and dairy are valuable sources of protein, and essential micro-nutrients such as iron, zinc, calcium, iodine, riboflavin and vitamins A, D and B12 (BDA, 2017). Therefore, any proposed policy interventions or measures to change diet needs to take into consideration the potential knock-on effect measures may have on the population’s health and nutritional status if implemented. This is a long post I know, but it’s a really important topic, and I’m only at the tip of the iceberg guys. Maybe a Part 2 to follow! But let’s finally focus on what we CAN do, right now, today, to eat in a more sustainable way for our beautiful planet. Importantly, just like with physical activity, we can’t go from zero to hero overnight – but the smallest of changes make BIG differences, especially when you multiply the effect by the millions of us that make a change for the better. The same idea applies with making some swaps in your life to reduce your plastic pollution, which I’ve written about before to share my top plastic swaps – have a read right here for that! As I said earlier, we know that as a population (in Ireland and other Westernised societies) our dietary patterns unfortunately on average aren’t in keeping with healthy eating guidelines. Just doing that as a start, instead of over-consumption of certain food groups, would be a fantastic start for improved human and environmental health – more fruit and veg, more fibre, whole-grains, and not exceeding recommended daily and weekly allowances of meat and dairy, for example. Macdiarmid et al. (2011) suggested that if the UK population simply consumed food in a more healthy, varied way as advised by the Eatwell plate, this alone would help reduce GHGEs and improve both environmental health and human health. A relatively recent study in this area (Macdiarmid et al., 2012) created a modelled diet which met optimal nutritional requirements for human health and did include meat, but at 60% of current population intakes, and this was predicted to result in 36% lower GHGEs! This is important, as emphasising and recommending a reduction in intake of meat and dairy among the general population (as opposed to total elimination) would likely be more acceptable, feasible and openly received by society as a public health message. Okay. Let’s get to some take-home tips. Shout-out to Nutri-Webinar and the BDA (and Alpro!) for an absolutely fantastic ‘Sustainable Diets‘ webinar I joined last week – it was balanced, evidence-based, informative, and entirely positive and proactive in nature, and I learnt a LOT. You can read the BDA statement on Sustainable Diets right here, and I highly recommend you do. On the 20th of November, the BDA launched their Sustainable Diets Toolkit, designed to arm dietitians and nutritionists with the best, evidence-based information to advise their patients and clients in this area responsibly. Here’s my favourite slide from last week’s webinar below, and in the points below that I’ve discussed the take home points on sustainable changes we can make to how we eat today. Red meat has received a lot of media attention following the classification in 2015 by WHO International Agency for Research on Cancer (IARC) of red meat as a Group 2A ‘Probable Carcinogen’, while processed meat was given a Group 1 classification as a carcinogen to humans (IARC, 2015). 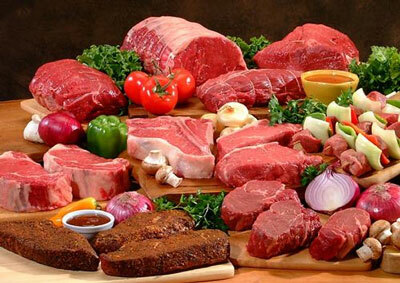 Both classifications were based on epidemiological evidence which found associations with colorectal cancer – limited in the case of red meat, and sufficient in the case of processed meat. In Ireland, the Irish Cancer Society (2015) recommends reducing cooked red meat intake to less than 500g per week, while the Scientific Advisory Committee on Nutrition in the UK recommends those who consume 90g of red or processed meat a day should reduce intake to 70g per day (BDA, 2017). Broadly speaking, with meat, I think we have to remember that we don’t need to eliminate it to help the environment, but reducing our intake, not over-consuming it and not making it the focus of our diet, as done with the plant-based approach, is a great route to take right now. My dietitian friend Catherine Downey and I wrote a blog post last year about simple plant-based swaps and changes you can make around meat, as well as providing information in the post on portion sizes – check that out right here. 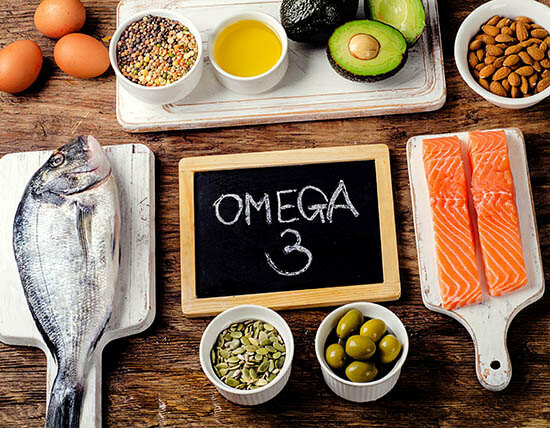 Current recommendations here and in the U.K. are to consume up to two portions of fish per week (Healthy Ireland, 2016), one of which should be oily fish, which is an important source of omega-3 fatty acids. The BDA highlights the importance of ensuring the fish we buy are from quality sources of credible sustainable standards – usually this is recognised from the label on the product, and in the image above you can see the examples of those labels, and in the image below! MSC = the U.K. Marine Conservation Society. Current recommendations are to consume up to 3 servings of dairy per day (Healthy Ireland, 2016), and low fat where possible. 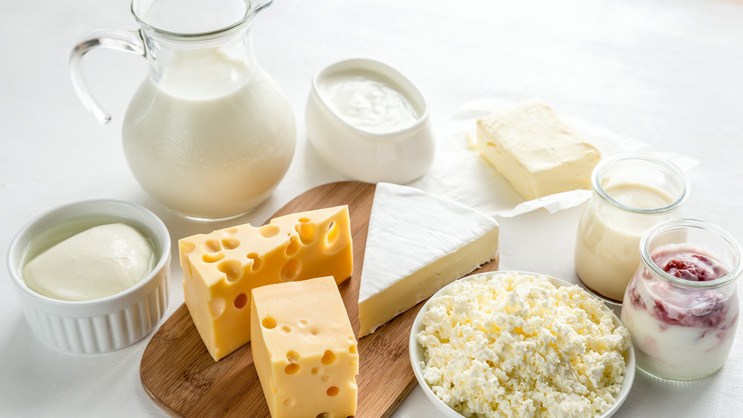 Although dairy has been getting a bit of a bashing in terms of the carbon footprint from cattle, dairy remains a major source of macro- and micro-nutrients for many people – for example, protein, calcium and vitamin D. The BDA currently advises ‘moderation’ of dairy intake for sustainability – so again, not over-consuming it. Importantly, if you choose to consume dairy alternatives – for example, many young women are now taking milk alternatives like almond, soy and oat milk – make sure you’re buying brands that are fortified with calcium. There are many fantastic and very nutritious choices for plant-derived protein, and often these foods are great sources of fibre and other micro-nutrients too. Examples include beans, chickpeas, lentils, nuts, seeds, products like tofu, tempeh and even Quorn! There are MANY ‘meat alternative’ products on the market now, with many supermarkets now doing their ‘own brand’ versions of these too – examples include every kind of vegetarian burger and sausage out there! The BDA encourages us to increase our intake of these foods and particularly the more natural, less processed options (e.g. beans, chickpeas, lentils, nuts, seeds), and happily most of them can be great options as substitutes for meat or going ‘half and half’ in a recipe – like a vegetarian chili using kidney beans, or a lentil bolognaise! The messages are simple here – 5 a day minimum, with more of your intake coming from vegetables. Importantly, for the best effect on the environment, we should aim to buy seasonal produce where possible, and ideally go for loose fruit and vegetables, minimising the plastic packaging with our buys. 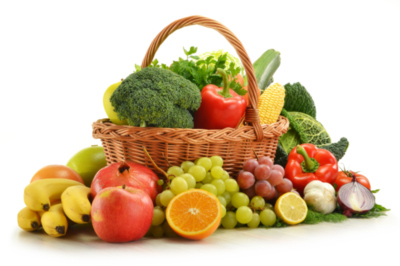 Fruits and veg are amazing sources of natural sugars, fibre and lots of micro-nutrients – nutritional powerhouses! Approximately one third of all food produced ends up being food WASTE, and that is just absolutely shocking as a statistic and largely preventable too from us working to be the most responsible consumers we can, especially with perishable foods like fresh fruit and veg. Again, a simple message – choose brown over white varieties of foods like bread, rice and pasta, as these have greater fibre content and contribute to the satiety of a meal. 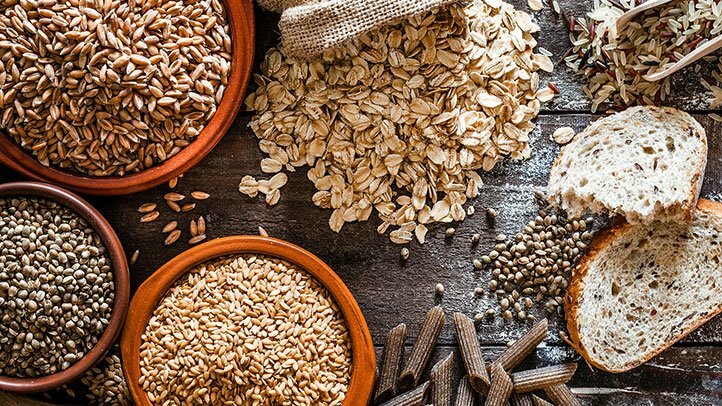 Whole-grains consumption have been widely linked to improve heart, gut and metabolic health, and current recommendations (in Ireland) are to have 3-5 servings per day. Water should make up the majority of our hydration sources – and having a reusable water bottle (and coffee cup!) is a great way to reduce your plastic pollution. PHEW. The power of food is pretty mind-blowing right?! Let’s bring this monster article to a close guys. As you can see, the changes we can make to our diets will make us healthier individuals, and be kinder to our environment. This conclusion has been reached from a strong evidence-base worldwide, which I hope is more clear to you by now. If not, here’s some further proof. In 2015, the United States Dietary Guidelines Advisory Committee Scientific Report concluded ‘consistent evidence indicates that in general, a dietary pattern that is higher in plant-based foods, such as vegetables, fruits, whole grains, legumes, nuts and seeds, and lower in animal-based foods is more health-promoting and is associated with lesser environmental impact (GHG and energy, land and water use) than is the current average US diet. A diet more environmentally sustainable than the average US diet can be achieved without excluding any food groups’ (Dietary Guidelines Advisory Committee, 2015). Key point – ‘more environmentally sustainable than the average.’ Nothing radical. Just simply eating more in line with the healthy diet guidelines already in place could and would do wonders for our environment – and our physical and mental health. Yep, and that of future generations too – your kids, grandkids, great-grandkids, all of the above. Very limited intake of high fat/salt/sugar foods. Nothing crazy, right? 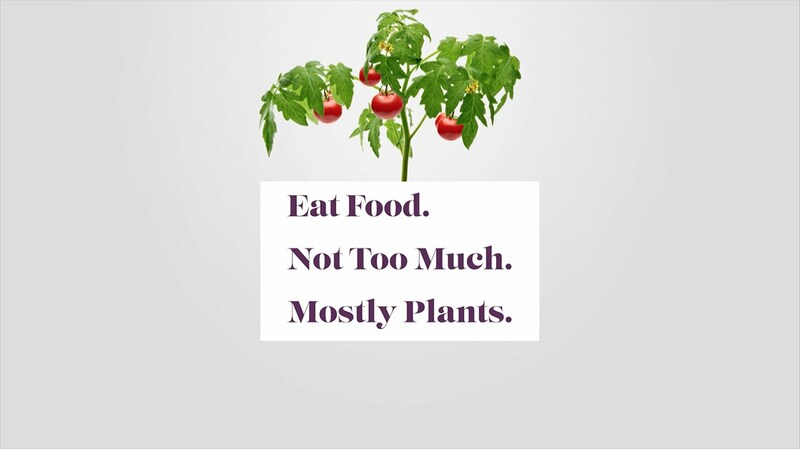 ‘Eat foods, not too much, mostly plants.‘ A Michael Pollan quote that is one of my favourites. I’m not saying it’s that easy. Or that these changes will happen overnight. But I FIRMLY believe (however optimistically – I’m a silver linings girl!) that awareness and education can inspire, encourage, empower and promote change, start a movement, and in this case, help us shift our dietary patterns to those that help to secure the health of the environment, eco-systems and human beings, with each begin given equal priority for a sustainable future. As always guys, I would LOVE your feedback on this monster post, and congrats for reaching the end of it! Let me know what you think – I’m @theirishbalance on Instagram/Twitter/Facebook! Pop a comment, email or DM – get in touch! I feel a Part 2 will evolve at some stage as well – always so much to say! Beverland, M. (2014) ‘Sustainable eating: Mainstreaming plant-based diets in developed economies’, Journal of Macro-marketing, 34(3), pp. 369-382. Derbyshire, E. (2017) ‘Flexitarian diets and health: A review of the evidence-based literature’, Frontiers in Nutrition, 3(55). Macdiarmid, J. (2013) ‘Is a healthy diet an environmentally sustainable diet?’, Proceedings of the Nutrition Society, 72, pp. 13-20. Macdiarmid, J, et al. (2012) ‘Sustainable diets for the future: can we contribute to reducing greenhouse gas emissions by eating a healthy diet?’, American Journal of Clinical Nutrition, 96(3), pp. 632-692. Popkin, B. M. (2003) ‘The Nutrition Transition in the Developing World’, Development Policy Review, 21(5-6), pp. 581-597. Vieux, F. et al. (2018) ‘Dietary changes needed to improve diet sustainability: Are they similar across Europe?’, European Journal of Clinical Nutrition, 72 pp. 951-960.